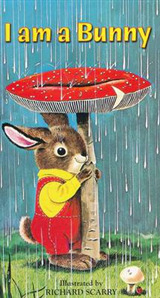 'I love her books - particularly the Five Children and It sequence' - Neil Gaiman Digging in the gravel pit on a hot summer's day, five children discover 'it': a grumpy creature with eyes like a snail's, ears like a bat's, and a tubby body all covered in fur. 'It' is a Psammead, an ancient sand-fairy who has the power to grant the children one wish a day. That, you might think, would be a dream come true! But you need to be very careful what you wish for: whether it's for wings, treasure or beauty, things can - and often will - go wrong. With all the illustrations by H. R. Millar, newly scanned from the original edition. 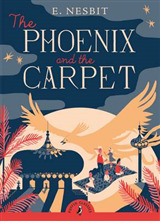 Five Children and It is the first book in the Psammead trilogy: next, discover The Phoenix and the Carpet and The Story of the Amulet. 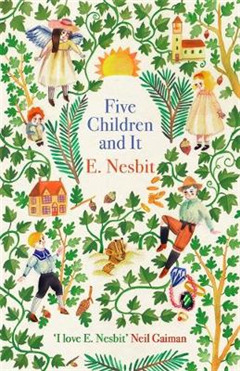 'The cheerful, child-centred anarchy of Five Children and It is still my inspiration and delight' Kate Saunders, Guardian 'My all-time favourite classic children's author' Jacqueline Wilson 'If Britain is to children's fantasy as Brazil is to football, then Edith Nesbit is our Pele - endlessly surprising and inventive. But she is more than that. 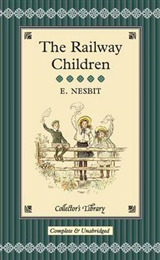 There were fantasy writers before Edith Nesbit but she is the one that brought the magical and the mundane together in a moment of nuclear fusion. She opened the door in the magic wardrobe, pointed the way to platform nine and three quarters. She even had a hand in building the Tardis. And these are among her minor achievements. She is also simply the funniest writer we have ever had, while being the one who could most easily and sweetly break your heart with a phrase. Just try saying "Daddy oh my Daddy" without catching your breath. 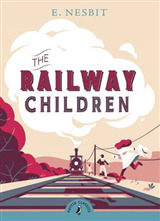 She made the magic worlds feel as near as the Lewisham Road and she bathed the Lewisham Road in magic' Frank Cottrell-Boyce This collection of the best in children's literature, curated by Virago, will be coveted by children and adults alike. These are timeless tales with beautiful covers, that will be treasured and shared across the generations. Some titles you will already know; some will be new to you, but there are stories for everyone to love, whatever your age. Our list includes Nina Bawden Carrie's War, The Peppermint Pig, Rumer Godden The Dark Horse, An Episode of Sparrows, Joan Aiken The Serial Garden, The Gift Giving E. Nesbit The Psammead Trilogy, The Bastable Trilogy, The Railway Children, Frances Hodgson Burnett The Little Princess,The Secret Garden and Susan Coolidge The What Katy Did Trilogy. 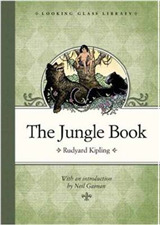 Discover Virago Children's Classics.